It’s 2012. A new year. A chance to start anew. There is still plenty of time to get things done, fulfil promises, make or break resolutions and so on. You can rest your arms on your turkey belly for a few weeks more. And even if you don’t quite manage to do everything you intended by the end of the year, there’s always next year. Or the year after that. Let’s face it, new-year resolutions are an illusory ritual of the season, or even a bit of flummery to fill an awkward silence. No-one takes them that seriously. But this year perhaps we should. If you are one of many people buying up property around a certain mountain in the foothills of the Pyrenees, you might want to start living each day like there is no tomorrow. Because, according to them, the ‘like’ in the last sentence is superfluous. 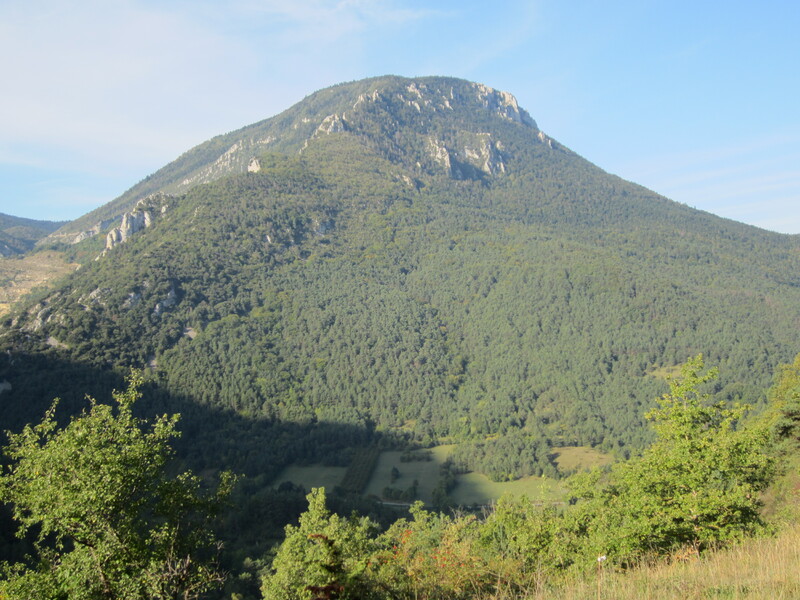 For those that are not familiar with this fruity brand of apocalyptic hermetica, the story goes something like this: in the foothills of the eastern Pyrenees there is a mountain called Bugarach, and deep inside it there lives an alien. The alien has been living inside the mountain until the earth no longer becomes a sustainable habitat. This will happen when – as the great oracular race, the Mayans have predicted – the world comes to an end on the 21 December 2012. As the world ends, the alien will emerge from the mountain and fly off to find a less apocalypse-prone environment, carrying on its coattails a few fortunate souls who just happen to be in the vicinity. Stories and beliefs like this are good for a laugh. They remind educated people that they are, despite occasional intimations to the contrary, not insane. If all else fails – the euro, the economy etc – we can at least hold firm to the judgement that people who believe in self-extricating extra-terrestrials during the earth’s last gasp have banana-shaped brains. This firm judgement might, when we are feeling generous and less threatened, transpose into some kind of condescending pity. At its outer limits, we might even invoke the word ‘asylum’. Irony, it seems, provides favourable conditions for lunatics. I only found out about this box of crackers because I happened to go walking in the Pyrenees earlier this year. But it troubles me that I had two very enjoyable evenings with some people who genuinely appeared to believe in the alien and its anticipated exit strategy. I might even go so far as to say that they were two of the most interesting and enjoyable evenings I have had in some time. There must be a paradox here. Did I enjoy it because it was a novel experience? Or is there more to it than that? Is my brain going a bit thick and fruity? If so, I’m not really in a position to answer my own questions and should retire into a state of dribbledom. The thing is that these evenings made my office-bound routine back home seem somehow inadequate and poor in its quality of life. Logically speaking, this shouldn’t really have happened. As a relatively educated citizen, I should have been able to ‘look down’ on these people from my so-called civilised kingdom and either laugh, feel pity or request a sectioning. Put simply, I didn’t; they made me feel happier. So there really is a paradox; how is it possible to feel so much happier and more liberated in the company of people whose understanding of the world makes them lobotomy candidates? The first answer is that this is all just some strange quirk of my arid, unimpressionable life. A possibility. But let’s sweep that under the carpet quickly. Another answer is that the way people understand the world isn’t really that important, and when someone’s tenuous ‘understanding’ is so ridiculous that it turns on a subterranean alien, it somehow throws into relief their character and humanity. Or to put it another way, a kind of puritanical fixation with looking on life from the most ‘informed’ perspective gets in the way of seeing people eye to eye. And what if – just what if – this species of esoteric baboonery is not an embarrassing eccentricity to be corralled and caged from view? What if instead it is something made in our own image, or a russian doll that sits inside us all? Might there be some imagined perspective from which activity-based costing, squabbles over socialism and capitalism, and the messy entanglements of social judgement look every bit as ridiculous as a wide-eyed Frenchie waiting for ET to phone home? So basically before the alien comes out of Bugarach, you’ve got less than a year to realise that you are much more insane than you thought you were. Happy new year.